There follows a sequence of nonrandom musings and ramblings, added in time, which eventually might come together to form a point in the end, or at least pose a few questions. Not so long ago people seemed to run the world and corporations bent over backwards to serve us — or at least made a point of seeming so. 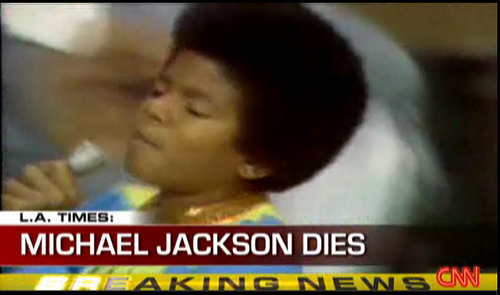 This was in living memory for some of us, and I’m in my fifties. I’ve just watched a documentary about the founding of the massive Selfridge’s department store in London in March 1909 — apparently the first high-toned “shopping cathedral” where idle people were not moved on by bouncers but actively encouraged to “browse”. In New Zealand through these years of the early 20th Century before much government welfare had been introduced, the biggest employers in the country had their own health, welfare and old-age schemes for employees and their families. In the US, Independent senator for Vermont, Bernie Sanders, has just released details of a telling comparison between corporate responsibility in the good old days and irresponsibility in the rotten new days. In 1952, the last year of the Truman Democrats before the Eisenhower-Nixon administration took over, corporations paid 33% of the US tax bill; now, in an era of record corporate profits, 9%. Hearing of the depravities of Walmarts and their many, many cohorts around the world these days, inflicted on their employees it’s hard to believe we’re in the same universe. Maybe we’re not — dropped through some wormhole. Next month, on September 20th 2014, comes the general election in New Zealand. This morning on a current affairs program the spokesmen of the Labour and Green parties were interviewed — two parties promised to ally to form a “left wing” government. In NZ the Greens are said by the media to be Far Left, and the Labour Party — no longer recognisably to the right of centre as they have been for most of the past 30 years — are said to be way to the left also. The main right wing, and ruling party, National, has up to now sided with the far-right libertarians called Act, yet the combination of the two of them have somehow produced what has always been called a centre-right government. These days it seems to be enough for rich people to take one of two attitudes: either, like Oprah, tell everyone “Follow your passion and your inner child, think positive — If I’ve done it everyone can do it”; or to take the diva route with “Thank God I have this much talent (and God must know what he’s doing to have given it all to me. It would be questioning Him to say I don’t deserve it).” Those billionaires can be counted on one hand who have come out publicly worldwide to admit they haven’t done anything approaching deserving of their riches and they’re where they are based on vagaries of the world economy. In the Wall Street Crash of 1929 rich people went bust overnight and threw themselves out of high windows when they realised suddenly they were not God’s chosen ones,but just His moral guinea pigs. Rich people these days don’t seem to have got the same message after the so-called disaster of the 2008 share market downturn — because bailed out by the heavy taxpayers of the middle class. The lower-income tax payers of New Zealand too, in just one instance, bailed out $1.8 billion worth of bad loans (the equivalent of more than $150 billion in the US economy) issued by a capialist mate of the government. Yet, this morning on the interview show the big question, according to the interviewer, was how the Labour Party could possibly reconcile its tax policy after the election with that of the Greens. Labour would charge an increased top tax rate of 36% on top earners on over $150,000 — whereas the Greens wanted a 40% top tax rate over roughly the same amount ($140,000). The Labour Party spokesman refused to be drawn, knowing that these days even the mention of 40% will produce a kneejerk reaction in most people these days and send them screaming from the room in horror. WHY? Why on earth is it taboo to tax rich people? My new book is due out before Christmas — this Xmas, 2011 [CORRECTION: Xmas 2013]. Entitled “Black Rock via Beach Boys vs Beatlemania = Sixties Music”, it is an ebook distributed by Booklocker.com — The price hasn’t been set yet, but should be way affordable for all you rockers interested in reading over 600 pages (over 250,000 words) touching on almost every aspect of the music business in the Sixties. 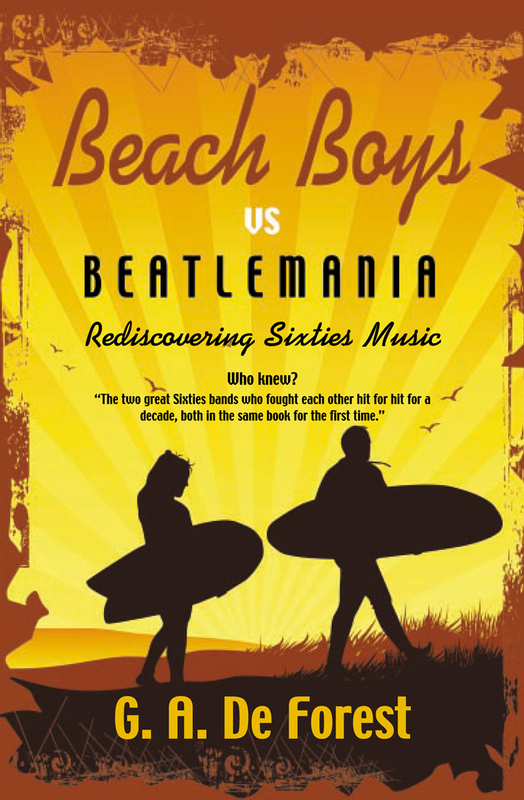 Again, like the previous paperback “Beach Boys vs Beatlemania: Rediscovering Sixties Music” (booklocker.com, 448 pages, publ 2007), it is seen in the context of the Beach Boys vs Beatles debate. The bulk of the original book is still there, and refined. But I’ve added a LOT more (nearly 200 pages) especially on the highly influential and pivotal roles of your favorite neglected African American acts of the Sixties: James Brown, Sam Cooke, Ray Charles, Jackie Wilson, Hank Ballard & the Midniters, the Tokens, the Isley Bros, Chubby Checker, Ike & Tina Turner, Etta James, the Chantels, the Shirelles, the Chiffons, the Crystals, the Ronettes, the New Orleans and Chicago schools, Sly & the Family Stone — and all the VeeJay, Motown, Atlantic stars including Little Esther Phillips, Little Willie John, Jerry Butler, Curtis Mayfield & the Impressions, Bobby Blue Bland and Mercury stars Sarah Vaughan, Brook Benton,Dinah Washington, Timi Yuro. Don’t miss out on what could be the ONE book on Sixties Music you’ve been wanting. Famous man’s-man director Howard Hawks was primarily a maker of “action” movies, but in the olden days of Hollywood the tag was a thoroughly respectable one implying no aspersion on the audience of such films. Some of the most admired directors of silents, Rex Ingram, and Sergei Eisenstein himself, were action directors. In the Thirties came Michael Curtiz and Raoul Walsh, both today considered master craftsmen of fast-paced adventures made with intelligence, imagination and spirit: in other words, more than Spielberg, Lucas or other of their ilk have ever achieved, and bearing hardly any relation at all to today’s blood-and-gore fests dished up as standard fare for desensitized ghouls who pass as film buffs. Modern cineastes have concluded that Hawks’ particular schtick was the theme of male comaraderie, starting notably with Only Angels Have Wings (1939) most familiar to modern film fans. But by then he had produced all-time classics in several genres: the similarly pilot-concerned Dawn Patrol, Scarface, Road to Glory, and not least, screwball comedy in Bringing Up Baby and His Girl Friday to follow shortly after with Sergeant York, his third classic on World War I. He came late to westerns with 1948’s Red River but only John Ford’s are admired more, and just a few including Henry King are said to rank with Hawks as authentic interpreters of the American scene. Rio Bravo was remade with the same director-star combination into El Dorado (and certain refrains were replayed in Rio Lobo four years later). Superstar John Wayne was accompanied by Dean Martin in the first, Robert Mitchum in the second. The Duke is his Mount Rushmore self in both, each time a former hired gun turned lawman (the town sheriff in the first; allying himself with the town sheriff, an old friend, in the remake). And each story centers on him supporting his co-star in rehabilitating from town bumhood brought on by a no-good floozie. Making up the rest of the male ingroup are Ricky Nelson/James Caan on the youth side and Walter Brennan/Arthur Hunnicut as the curmudgeonly but humorously persnickety jailkeeper. Rio Bravo, for ill-defined reasons, is the more generally admired by critics. Maybe the prominent contemporary critics that greeted the remake in the Sixties were just more vicious: Pauline Kael, Richard Schickel … Hawks specifically remade it because he believed he could improve on the first version, and then believed he had. I too, maybe because a child of the Sixties, have always preferred El Dorado, though having just seen Rio Bravo again and giving it proper attention, I appreciate its niceties more than before. Hawks knew what he was doing in remaking it. There seems to be more happening, backed with a booming wall-to-wall Sixties soundtrack. It is in every way less sentimental than its Fifties forebear. The female roles are less defined in the remake (spread as they are now between Charlene Holt and Michele Carey), almost perfunctory compared with Angie Dickinson’s fully defined one, more in the nature of eye candy. That by itself says more about how spectacularly constructed female stars were treated in the Sixties. Raquel Welch hardly ever got a whiff of the central roles Sophia Loren had been entrusted with at an even younger age a decade earlier. And compare ingenue Natalie Wood with, say, the later Sandra Dee — typical Sixties teen fodder; and Tuesday Weld not allowed to show her talent until almost middle age. Dickinson plays a hard-drinking professional gambler turning back to saloon singing for new beau Duke’s sake, while in the Sixties version Duke comes across all bashful as an old-friend-of-the-family even responding to all-grown-up wholesome Charlene Holt, who has a scene sashaying around in a revealing figure-hugging number for no apparent reason but the aforementioned eye-candy factor. I would have thought by most measures El Dorado is a less compromised piece of filmmaking. The performances of Robert Mitchum and James Caan are more convincing than those of their prototypes. Moreover, the expanded, modified role of Caan allows a real relationship to develop between him and his mentor (Wayne). Maybe simply to give the ensemble cast more on-screen time, there is a conscious insert in Rio Bravo where singing stars Martin and Nelson get to do their thing — Dean crooning a cowboy song — ‘My Rifle, My Pony, and Me’ — with less C & W feel than anyone since Roy Rogers. Ricky bats his thick eyelashes and heavy lids for the girls rather irritatingly throughout, and almost pouts his more-generous-than-Elvis lips. Walter Brennan comes close to self-parody with his incessant cackling. On top of this, the original is far too wordy, especially for a western — courtesy of the screenplay by highly cultured Hawks favorites Jules Furthman and Leigh Brackett.